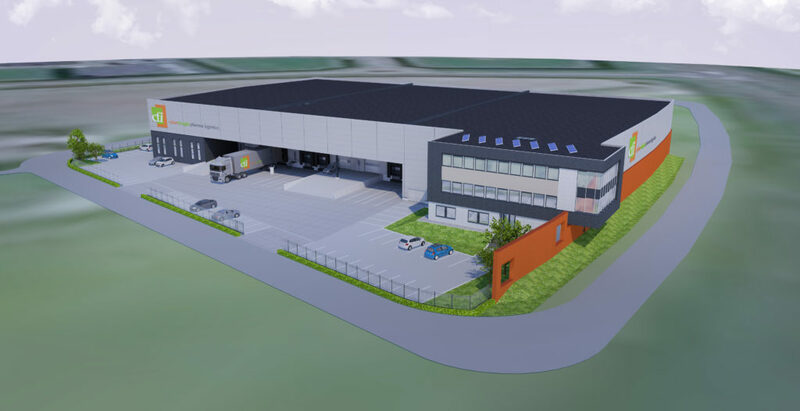 The new warehouse will offer possibilities for storage of industrial goods, pharmaceutical products and food-ingredients, each in a separate section of the warehouse. Besides regular pallet and shelf storage, CyberFreight will offer temperature controlled storage for pharmaceutical products (15°Celsius – 25°Celsius), cool storage (2°Celsius – 8°Celsius) and ADR storage. Orderprocessing will be done on the basis of pallet and case picking, but also on a level of innerpack and piece picking. De shipments will be destined for both B2B as well as B2C. Also in the current set up, CyberFreight is able to pick and ship individual items directly to consumers all over Europe. Below you can find an artist impression of the new building. We hope to move in early 2018, but if you are interested in our warehousing and distribution services before we move in, we gladly make an appointment with you. It goes without saying, we at CyberFreight are very enthousiastic about this exciting development, which will enable us continue to grow.